Yamaha Motor Co., Ltd. is delighted to announce that it will continue its strong relationship with nine-time World Champion and living MotoGP legend Valentino Rossi, having signed a new two-year agreement. 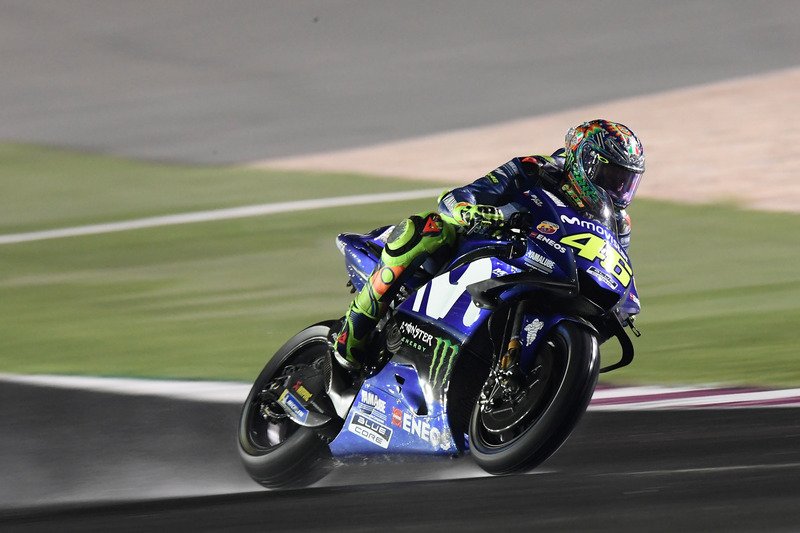 Yamaha Motor Co., Ltd. and Valentino Rossi are delighted to have reached an agreement that will see the Italian rider remain with Yamaha’s factory team for the 2019 and 2020 MotoGP seasons, aboard the Yamaha YZR-M1. The contract extension comes just before the 39-year-old will embark on his 13th season with Yamaha, starting at the Grand Prix in Qatar, held from March 16th – 18th. The combination of the Doctor and the YZR-M1 has led to many milestones in the past and together they secured four MotoGP World Championship titles. He is Yamaha’s most successful Grand Prix rider in history, with 56 wins, 43 second places, and 35 third places secured in 206 races together. Moreover, out of the manufacturer’s 500 Grand Prix victories, achieved in Le Mans 2017, exactly 11% of those victories were secured by him, making him the biggest contributing rider, having scored 55 victories on a Yamaha up to that point. With six strong podiums last year, including a brilliant GP victory in the Netherlands, the Movistar Yamaha MotoGP Team is confident in their partnership with Rossi and look forward to being a serious title contender for 2018 and the following seasons. “When I signed my last contract with Yamaha, in March 2016, I wondered if that would have been the last contract as a MotoGP rider. At that time, I decided that I’d take that decision during the following two years. During the last two years I came to the conclusion that I want to continue because racing, being a MotoGP rider, but especially riding my M1, is the thing that makes me feel good. Having the opportunity to work with my team, with Silvano, Matteo and all my mechanics, and working with all Japanese engineers, Tsuji-san, and above all Tsuya-san, is a pleasure – I’m happy. “The confirmation of Valentino’s two-year extension of his Agreement with Yamaha is a great way to start the 2018 season that kicks off officially on Friday in Qatar. The news may not be a great surprise because Valentino has made it clear that he wanted to continue to race, but the reconfirmation will surely come as welcome news for his millions of fans around the world. It was very easy to reach an agreement together – as a Factory Team we need top riders capable to win and with the total commitment to do what it takes to achieve the goal. Despite his many years in the sport and his 39 years, Vale is as committed today as he ever was and there is no doubt he is still a top rider, as witnessed most recently by his second position in the final pre-season test here in Qatar. Now it is our job as a team and a factory to give him the best possible YZR-M1 to let him fight for race wins and championship success.